For our pork products, we partner with an independent farm just south of Barrie, in Innisfil, run by Lisa Peterson and her family. Originally raising pastured chickens, the demand for Stone Horse Farm’s quality meat grew, and eight years ago the farm began to also offer pasture-raised pork. The pigs at Stone Horse Farms live a healthy life. They spend most of the day roaming on the pasture and grazing freely. Not only does it make for healthier pigs, but the meat tastes a lot fuller too. Most the pigs are Berkshire – Heritage pigs which are an older breed – preferred by the British royal family for their excellent meat quality. These pigs have wonderful instincts; they make for great mothers to their piglets, and they have natural instincts that allow them to forage. As the cold rolls in and the autumn harvest brings pumpkins to market, Lisa gets busy. For the last four years, she hosted an annual Pumpkin Pitch – a fun, family event where the community, friends, and her customers drop by to pitch pumpkins for the pigs. Pitch the pumpkins well enough and they crack open for the pigs to eat and enjoy. Lisa announced on her Facebook page that this year’s Pumpkin Pitch was coming up. Usually, she expects about 1200 people to read her posts, but this year the post reached more people than she anticipated. It went viral and was read by over 30,000 people. CTV showed up to capture the event. Lisa was very nervous since she was originally expecting only 350 people. There is a one-lane road leading into the farm, and there is no shoulder to pull over on. Coming in and out of the farm is one-way traffic, and what about parking? As a last resort, Lisa started to take down fences so the cars could park, and called out for help on Facebook a few days before the Pitch weekend. The Pumpkin Pitch was a huge success. They saw eight cars coming in and five going out at any time and saw close to one thousand people attend by the end of the weekend. Lisa’s volunteers had walkie-talkies, stood at ends of the driveway and directed traffic. Her friends, her customers, and the whole community came together to help Lisa. It was great fun for the kids. Parents took them out for a nice day into the country to learn about Stone Horse Farm and what goes into raising the pigs – and tossed some pumpkins to boot. I asked how she felt about her customers and people in the community coming to help. We are proud to be partnered with Stone Horse Farm to offer our customers access to Pasture Raised Pigs!  Read more about the farm on the NIKU Farms Website and see the available pork packages here.